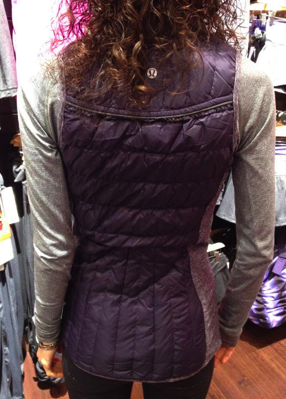 Finally a picture has been posted of the Turn Around Vest! 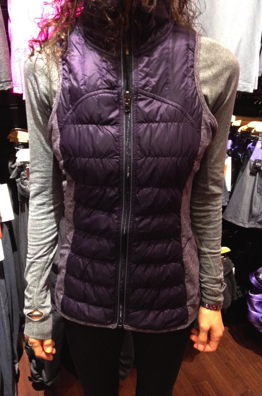 I think this is a great warm layer for winter running with the running luon (rulu) panels. Now hopefully it has great pockets and reflectivity because that is what makes running vests so functional. "Comparison Of Blurred Grey and Heathered Coal Gratitude Wraps"